Here it is. I know you’ll all want to try this at home, but it won’t work , for some strange reason it only works when you are camping. FIRST Open a can of beer. Method: Open another can of beer. Get some coals from the main fire and set a small cooking fire. brush it off and biff it in. 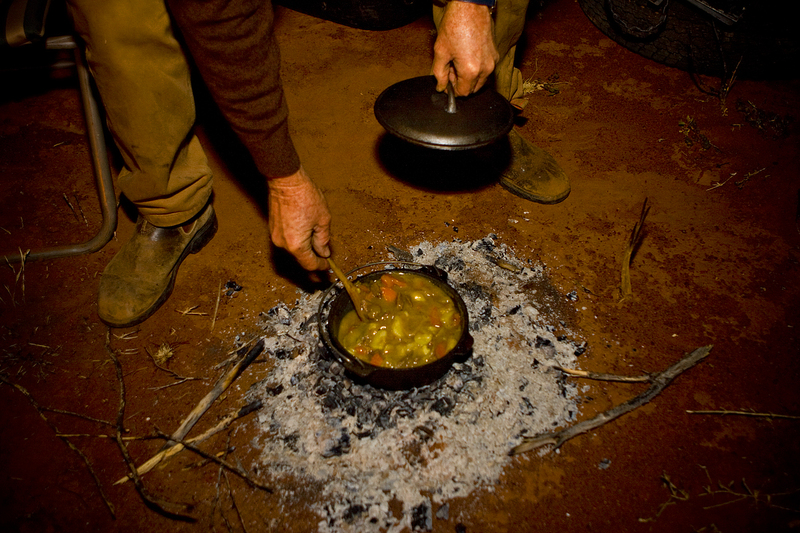 Add a bit of oil to your camp oven, not engine oil , cooking oil. Throw in the beef , brown it a bit,then add a bit of water. Open another can of beer. It needs to just tick over , sort of ..blup…blup….blup. Open another can and sit around the camp fire. Keep an eye on the camp oven stirring every 2 cans or so. Serve with crusty bread ( it’s probably crusty by now cause you’ve been in the bush for 5 days), and wash it down with another beer. It will taste great by this stage , trust me. You’ll be that hungry you’ll eat anything.